Ceramic spacers are useful in a variety of applications due to their versatility in both form and chemical composition. For instance, ceramic tile spacers are ½ inch solid squares that are beneficial for tiling applications in which they are used to space the tiles evenly prior to grouting. In medical applications, ceramic spacers are used as replacement spinal discs and dental implants from hydroxyapatite ceramics, a ceramic that offers the natural mineral component of bone. Ceramic spacers are also used to support insulating bodies, particularly in electrical insulation such as power lines that use circular ceramic spacers between the poles. Industries that utilize ceramic spacers include medical, heating and cooling, defense, construction, microelectronics, oil and petroleum, automotive and aerospace. Able to withstand high temperatures, chemicals and harsh weather conditions, ceramic spacers are highly durable as well as being cost-effective. All ceramics share characteristics of having a crystalline structure; however ceramic spacers are typically categorized as technical ceramics, also known as engineering ceramics, or advanced ceramics. Ceramic spacers are most commonly formed from aluminum oxide, beryllium-oxide and aluminum nitride. Aluminum oxides offer 20 times the thermal conductivity than most other oxides. Beryllium oxides are generally superior to aluminum oxides, excepting that beryllium oxides have a high toxicity. Aluminum nitride is a less toxic alternative to beryllium oxide with a low thermal expansion. These three ceramic compounds comprise ceramic spacers’ raw materials, which begin the manufacturing process as fine powders. Other minerals and materials may be added to enhance certain properties, such as with hydroxyapatite ceramics. After this, the powder material is prepped by ceramic spacer manufacturers for forming by adding water or another liquid additive. The slurry or liquid material is then slip cast, extruded or injection molded into the desired shapes known as greenware, which are then placed in an extremely high heat oven and sintered. 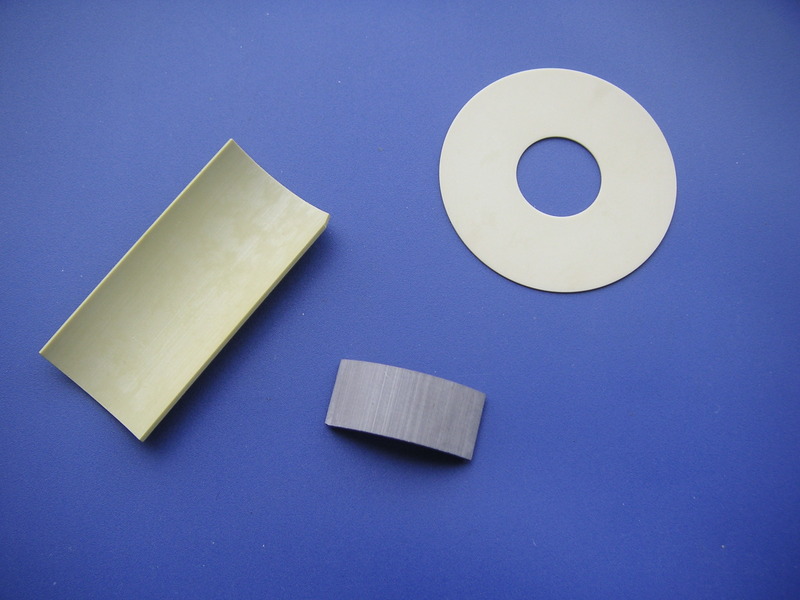 Next, the greenware becomes rigid ceramic, which can then be glazed or further processed by polishing, cutting or machining for ceramic spacer applications. 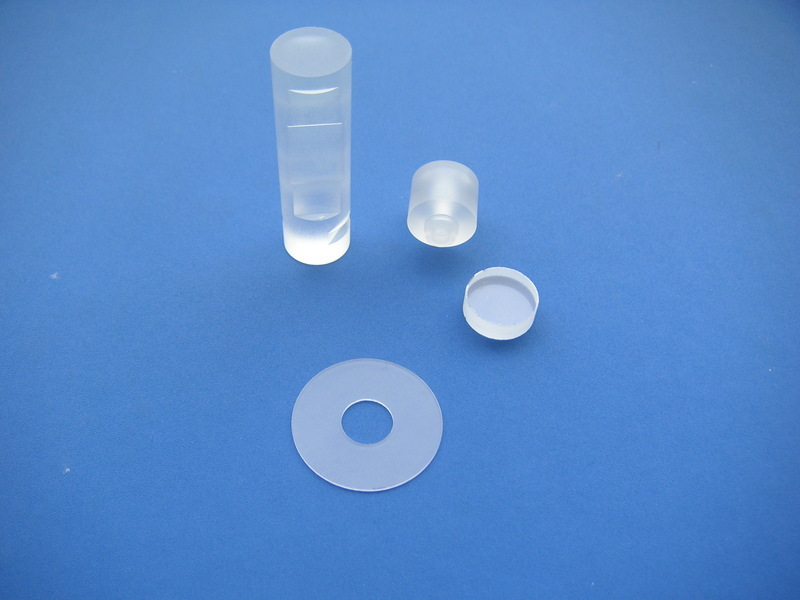 Ceramic spacers come in a wide range of shapes including circular, square, pyramid, t-shaped and many more. Ceramic Spacers Ceramic spacers provide equal and constant spacing between materials or objects. An inorganic and non-metallic material, ceramic spacers offer elasticity similar to steel, as well as being non-magnetic and heat-insulating. Able to withstand high temperatures, chemical erosion and harsh weather conditions, ceramic spacers are highly durable as well as being cost-effective.